It’s West Side Story…in the Middle East! 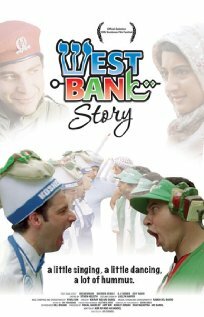 West Bank Story is must-see for musical lovers and anyone looking for a good laugh on the very serious matter of Israeli-Palestinian tension. Ari Sandel reconstructs Israeli-Palestinian relations in a microcosm by using two restaurants, one Israeli, and one Palestinian, who clash as a pair of star-crossed lovers work to briadge the gap between their bitter rivalry. In the end, Israelis and Palestinians end up being more alike than different and it is the customers who come first—i.e., the people, not the conflict.